Prague sits firmly in Central Europe and has the feel of Eastern Europe, but boasts the prosperity and popularity of many Western European capital cities. Cobbled lanes and medieval buildings mark the majestic city whose skyline is speckled with church spires. The city was nearly undamaged by World War II, which destroyed many European cities making Prague’s medieval look unique. The primary language of the Czech Republic is Czech, though if you speak Slovak you will generally be understood. Most people who work in tourism and most young people speak in English; there are over one hundred English as a second language schools in Prague. 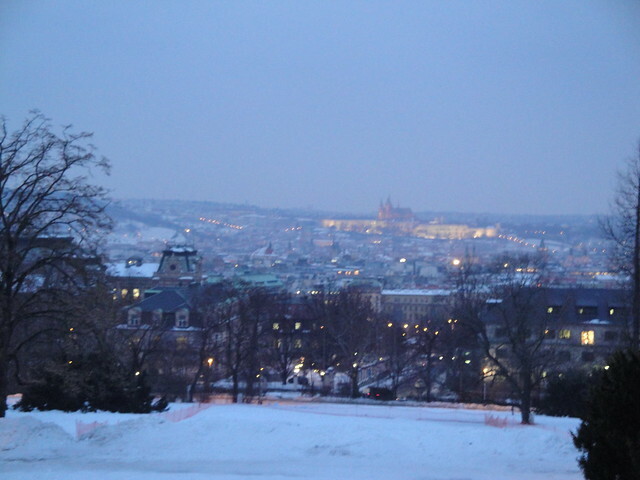 Prague, called Praha in Czech, has long played an important role in the region. Bohemian kings ruled from Prague as early as the ninth century. Several centuries later Prague became the capital of the Austro-Hungarian Empire. And then from World War I until 1993, Prague was the capital of Czechoslovakia. When Czechoslovakia split in 1993, Prague became capital of the Czech Republic. 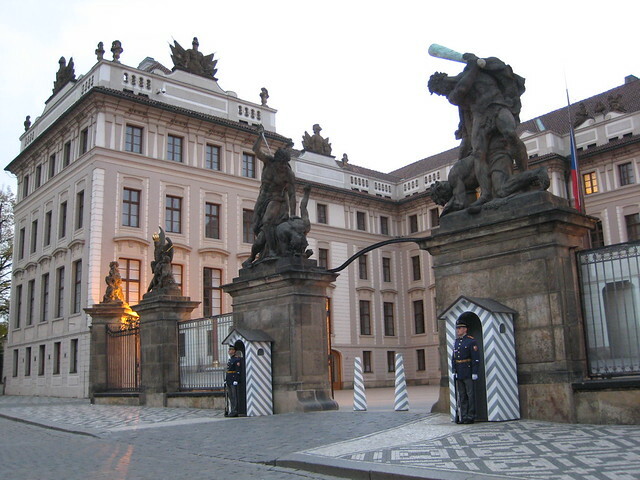 Evidence of each era of Czech history is present throughout the city in museums and historic sites. Prague Castle is listed in the Guinness Book of World Records as the largest ancient castle in the world. The castle, which towers over the city, was begun in the ninth century, shortly after the city of Prague was founded. Many of the rulers mentioned above inhabited the castle. Much of the castle is open to visitors. The Czech National Museum is actually a museum institution that serves as caretaker for many museums in Prague. The main building houses a natural history museum. The other museums throughout the city include the Antonin Dvorak Museum dedicated to the work of the Czech composer, the National Museum Ethnographic Exhibition, and the Czech Music Museum. 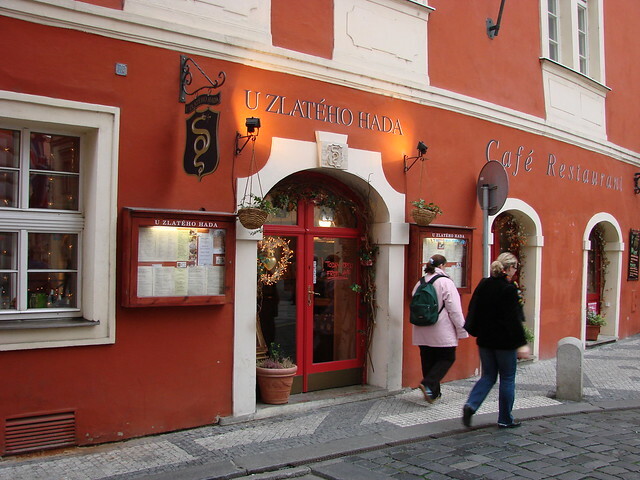 Czech is a meat and potatoes cuisine based around pork, beef, potatoes, and dumplings, hearty food for cold winters. Roast pork with dumplings and sauerkraut is a traditional Czech favorite. Hearty soups like chicken noodle, garlic with croutons, lentil, and potato soups are also a major part of the Czech diet. Dumplings also appear for dessert stuffed with fruit. Street food is also everywhere in Prague. For something local, try a Czech style hot dog, which is served snuggled into a hollowed out baguette with ketchup and/or mustard. Also, many vendors sell mulled wine, especially in the Old Town Square and Wenceslas Square.